Bring home this hobo handbag from the house of Hidesign and enhance your accessory collection. Crafted from premium quality leather, it is easy to maintain. In addition to that, it features a spacious main compartment that offers adequate space for you to store your essentials in place. 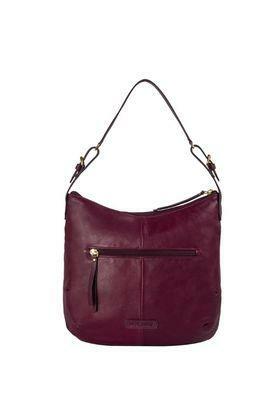 Add this hobo handbag to your accessory collection and fetch compliments for your choice. You can combine it with a cold shoulder top and a pair of culottes to flaunt a stylish look for any casual occasion.